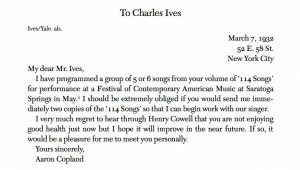 Although Copland’s preferences for simple, easy-to-understand music which we discussed in class last week seemed in conflict with Ives’ ultra-modernist “push-the-envelope” styles, it’s enlightening to see that parts of both composers came together successfully in the Yaddo Festival. 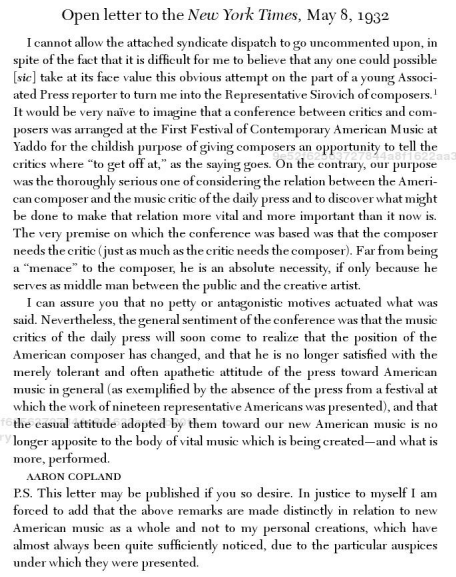 While there are many things that set these composers apart, it still is important to note that they were able to appreciate one another for the contributions they were making in a period of economic turmoil and financial hardship for a majority of the United States. 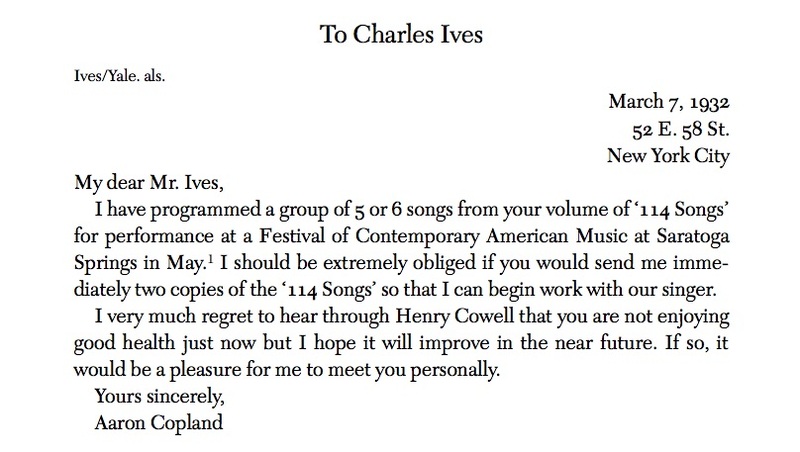 1 Aaron Copland, “To Charles Ives,” in The Selected Correspondence of Aaron Copland, ed. Elizabeth B. Crist and Wayne Shirley (New Haven, CT: Yale University Press, 2006), 90.